DR. Anas Ahmad Sabir, Chief Medical Director of Usmanu Danfodiyo University Teaching Hospital, Sokoto, hails from Sokoto South Local Government of Sokoto state of Nigeria. He had his primary and secondary education from Bayero University Staff School and Federal Government College, Kano respectively. He obtained MBBS at Usmanu Danfodiyo University Sokoto and emerged the best graduating medical student in the year 1999. After one year mandatory Housemanship, he did his National Youth Service Corps at the National Hospital, Abuja from 2000 to 2001, and later joined Specialist Hospital, Sokoto as Medical Officer from 2001-2002 . Because of his quest to search for knowledge, Dr. Anas Sabir secured Residency appointment with Usmanu Danfodiyo University Teaching Hospital, Sokoto as Registrar in the department of Medicine in the year 2002; and passed his Part I Examination of West African College of Physicians and in National Postgraduate Medical College in October, & November, 2005 respectively. He passed the Part II fellowship examination of the National Postgraduate Medical College (NPMC) in November 2008, to become a Fellow of the Medical College of Physicians. He was appointed Consultant physician/endocrinologist in March 2009 by Usmanu Danfodiyo University Teaching Hospital Sokoto. He also became a Fellow American College of Endocrinologist (FACE) in the year 2013. Dr. Sabir travelled widely within and outside the country in search of knowledge, thus attended numerous workshops and seminars in addition to other official engagements. He also has over forty papers to his credit published in reputable academic journals both national and international. He served as major or co-supervisor of dissertations of many candidates. He has also participated in many community services which include; free medical outreaches organized by Nigerian Medical Association Sokoto State, Medical and Dental Consultant’s Association Sokoto State chapter and Association of Resident Doctors UDUTHS chapter. Until his appointment as the Chief Medical Director, Dr Sabir, served in different managerial capacities, they include; Chairman, Nigerian Medical Association (NMA) Sokoto state chapter. Deputy Chairman, Medical Advisory Committee in charge of training, Chairman, Medical Advisory Committee among others. Dr. Sabir has received many awards among them are: overall best graduation student in the College of Health Science, Usmanu Danfodiyo University Sokoto in the 1999, and Honourable mention award in poster presentation AACE 2012. 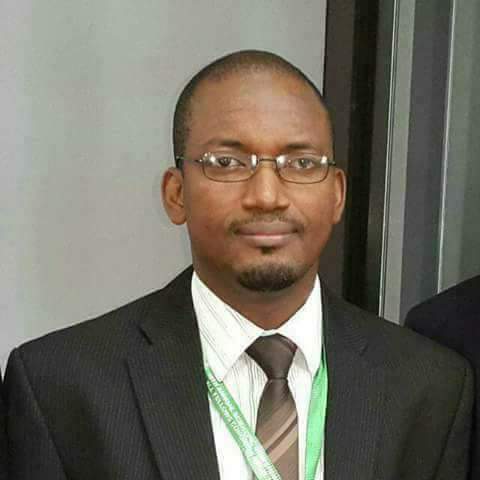 He is the first graduate and trained Consultant of Usmanu Danfodiyo University Teaching Hospital, Sokoto to clinch the Chief Medical Director’s position of the Hospital. Salim Ibrahim Jafar, Director Of Administration. Born on the 18th May, 1960, Katsina, Katsina State. Attended Ahmadu Bello University Zaria and obtained BSc. Sociology. He also obtained Postgraduate Diploma in Public Administration in 1999. He joined Usmanu Danfodiyo University Teaching Hospital, Sokoto on 3rd October, 1994 as Senior Assistant Secretary and rose through the ranks to the post of Deputy Director (Procurement and Planning). He is a member of the Institute of Health Service Administration of Nigeria, Nigerian Institute of Management, Institute of Corporate Administrators of Nigeria, and Fellow Procurement Professional Association of Nigeria among others. He attended many workshops, seminars and conferences both Local and International. He was appointed as Director of Administration on 1st July, 2015. DR. Nasiru Muhammad, an Associate Professor/Honorary Consultant Ophthalmologist hails from Kebbi State Nigeria. He began his Medical career at Usmanu Danfodiyo University, Sokoto where he bagged MBBS in the year 1993. He had Diploma in Ophthalmology from West African College of Surgeons (2002) and became a Fellow of the National Postgraduate Medical College in Ophthalmology (FMCOph) in the year 2006. Dr. Muhammad’s quest for knowledge motivated him to go for different postgraduate programs which include; Postgraduate Diploma in Public Administration (PGDPA) at Usmanu Danfodiyo University, Sokoto (2009), Professional Diploma in Education at u Bello University, Zaria (2011), and Msc Public Health for Eye Care at London School of Hygiene and Tropical Medicine, University of London (2016). Until his appointment as the Chairman Medical Advisory Committee in charge of Clinical Directorate, Dr. Muhammad was the Head of Ophthalmology of the Hospital. In the course of his carrier/training, he has worked in several Hospitals including Government house Clinic Birnin Kebbi, Royal Victory Hospital, Banjul, Gambia, ECWA Eye Hospital Kano, and National Eye Center Kaduna. Others include; Sir Yahaya Memorial Hospital, Birnin Kebbi, Prince Abdulrrahman AsSidairi Central Hospital, Sakaka. Al Jouf, Kingdom of Saudi Arabia and Usmanu Danfodiyo University Teaching Hospital, Sokoto. He was Chairman, Medical and Dental Consultant’s Association (MDCAN) UDUTH Chapter (2015-2017). Dr. Muhammad’s search for knowledge availed him with the opportunity to travel far and wide within and outside the country, thus attended numerous workshops and seminars. He also has over thirty papers to his credit published in reputable academic journals both national and international. He also served as either major or co-supervisor of part II dissertations from both Postgraduate Medical College in Ophthalmology and West African College of Surgeon. His profile on Researchgate shows an RG score of 16.87 with 2,293 reads and 153 citations os his research work. He has participated in numerous community services either as coordinator, trainer or participant particularly in Eye Care Development. He is a recipient of many accolades including best candidate Primary FMCOph Examination (2002), best candidate part II FMCOph dissertation, (2007) best candidate part II FMCOph examination (2007) and ‘Council Lecture’ award by the Ophthalmology Society of Nigeria (2007). Born on 5th June, 1966 in Suru Local Government Area of Kebbi State. Attended Suru Primary School, Suru, College of Arts and Arabic Studies, Sokoto and finished in 1972 and 1984 respectively. He bagged NCE in Business Accounting from Polytechnic of Birnin Kebbi in 1988, B. Sc. Accounting from Bayero University, Kano and Masters in Business Administration from Usmanu Danfodiyo University, Sokoto in 1977. He started his working career with Sokoto State Health Project (World Bank Assisted Project) as Zonal Accountant, Zuru Zone in 1989. He Joined Usmanu Danfodiyo University Teaching Hospital in 1996 as Chief Accountant and was appointed Deputy Director Finance and Supply in 2016. He is a member of Association of National Accountants of Nigeria (ANAN) and member Chattered Institute of Management Accountants (CIMA). He has also attended so many Seminars, Workshops and Conferences both local and International. Alh. Abdullahi M. Yabo (ANAN), Assistant Director, Audit. Born in Torankawa Town, Yabo Local Government in Sokoto State. Attended Model Primary School, Toronkawa, and Government Teachers' College, Tambuwal between 1979-1984. Attended the Polytechnic of Sokoto, Kebbi State Polytechnic, Birnin Kebbi for his National Diploma and Higher National Diploma in Business Administration respectively between 1990-1993. In 1995, Alh. Abdullahi got admission in to Usmanu Danfodiyo University, Sokoto to read Post-graduate Diploma in Management and later Masters Degree in Business Administration. Has attended so many Seminars, Workshops and conferences local and International. Alh. Abdullahi is a member of the Association of National Accountants of Nigeria (ANAN). Alh. Sanusi Musa (AHAN), Deputy Director Procurement. Was born on 11th August, 1968 in Sokoto North Local Government of Sokoto State. Attended Magajin Rafi Model Primary School, Sokoto, Sultan Abubakar College, Sokoto, College of Administration Sokoto between 1984 to 1987 for his National Diploma in Secretarial Studies. In 1994, Alh. Sanusi started B. Sc. Management at Usmanu Danfodiyo University, Sokoto and later Masters in Business Administration which he completed in 2001. He also has Masters in Health Planning and Management from University of Maiduguri in 2005. Joined the services of Usmanu Danfodiyo University Teaching Hospital as Personal Secretary to the CMD in 1987. Appointed Hospital Secretary 1999-2004, Establishment Officer 2005-2006, Vamed Program Co-ordinator 2006 to date. Has attended so many Seminars, Workshops and Conferences.